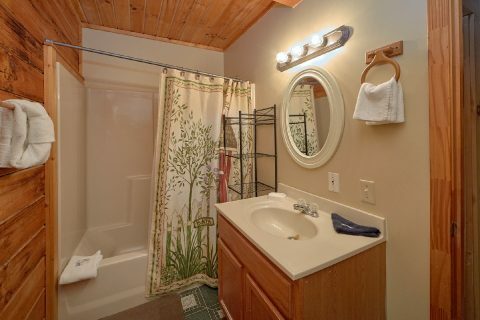 "Hide-A-Way Point" is an affordable 2 bedroom cabin rental in Wears Valley that sleeps up to 6 guests in comfort! 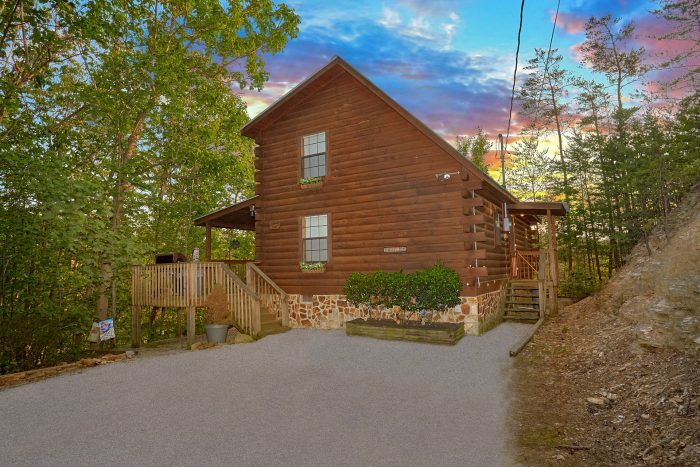 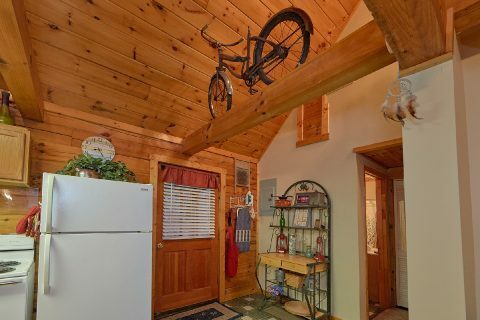 With a secluded location in the beautiful Wears Valley area of the Smokies, this rental is ideal for guests who want to stay near top attractions and enjoy a private log cabin experience. 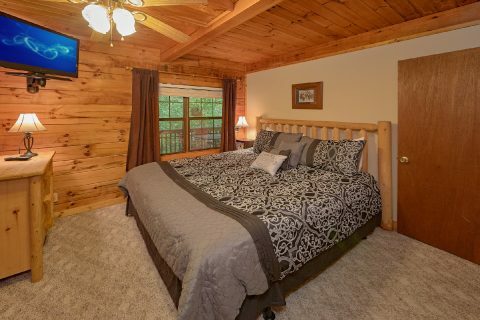 This cabin's prime spot the Smokies keeps you only a short drive away from the Great Smoky Mountains National Park where you can enjoy sights like the historic cabins of Cades Cove or a picturesque waterfall hike. 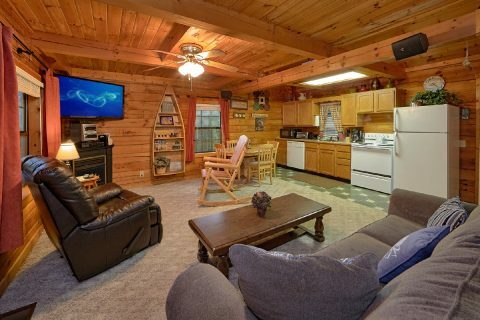 On the other hand, this rental is also only 8 miles from Downtown Pigeon Forge, where vacationers will find dozens of shops, restaurants, and attractions to see. 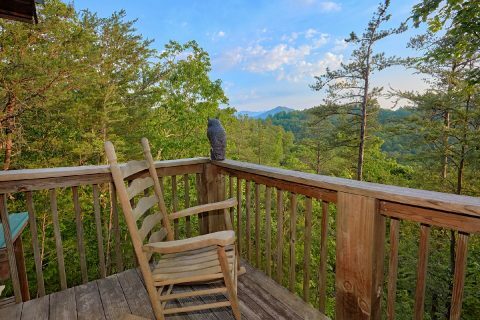 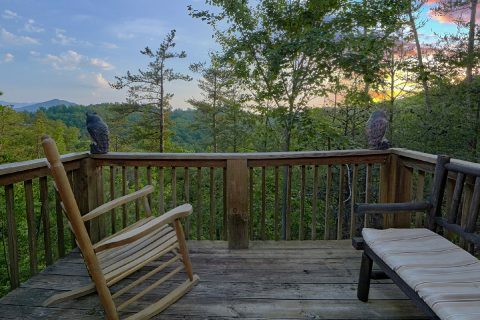 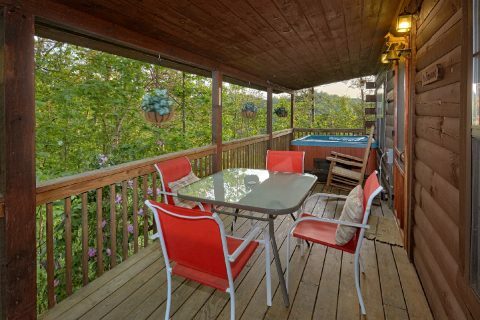 When you arrive at your private log cabin in the Smokies, you can step up to the front deck that comes complete with a hot tub, table, chairs, a rocking chair, and a gas grill for enjoying a fun summer cookout. 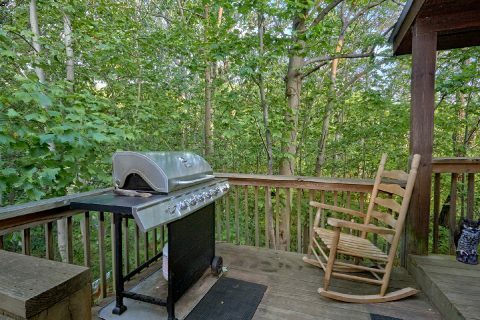 From here, you can step inside to the main living area that comes complete with a gas fireplace and a flat-screen television for watching a good movie with your friends and family. 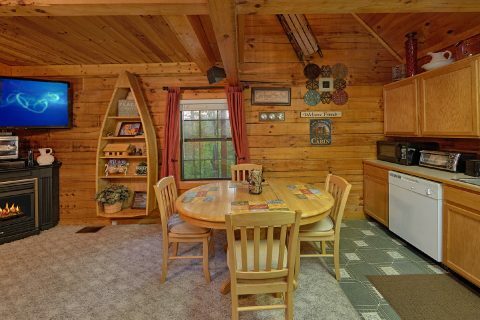 The main level of your cabin is an open-concept area that also includes a full kitchen and a dining area for enjoying delicious meals during your stay. 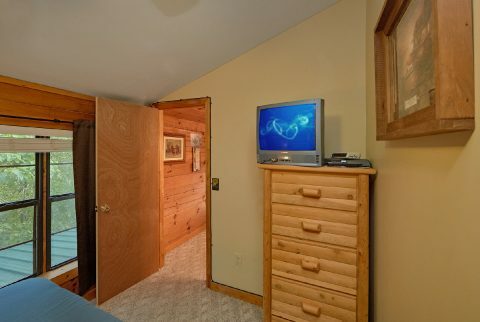 Nearby, you'll find a king-size bedroom complete with a television. 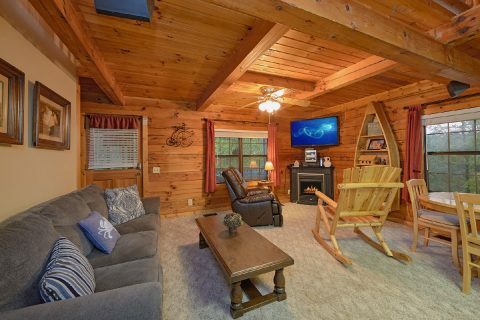 For extra guests, this cabin provides a sleeper sofa in the living area. 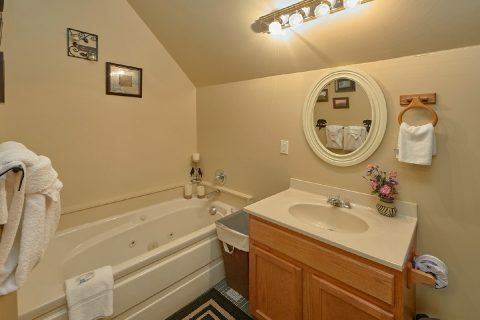 Upstairs, there's another queen-size bedroom with a full bath and a jacuzzi for relaxing in privacy. 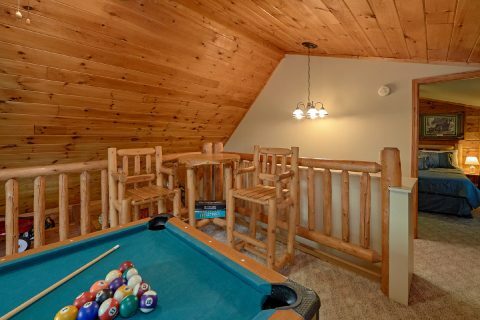 Additionally, this upstairs area provides a game room loft area complete with a pool table and pub table for some in-cabin entertainment. 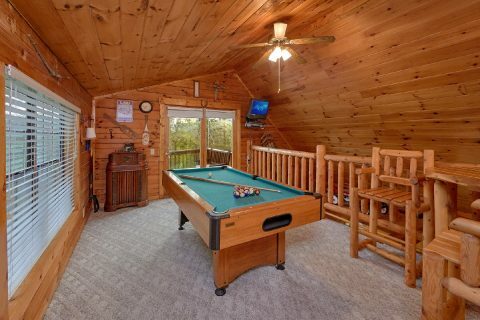 There's also a small deck off of the game room where you can enjoy your cabin's secluded mountain setting. 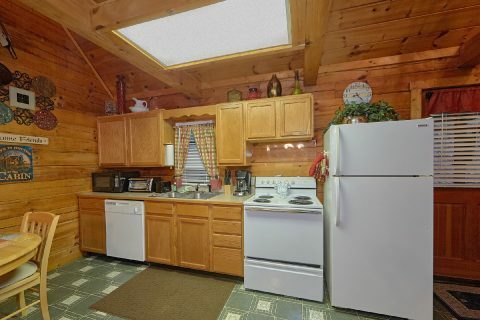 Lastly, this rental comes complete with practical amenities like WiFi Internet and a washer/dryer for guests to use during their stay. 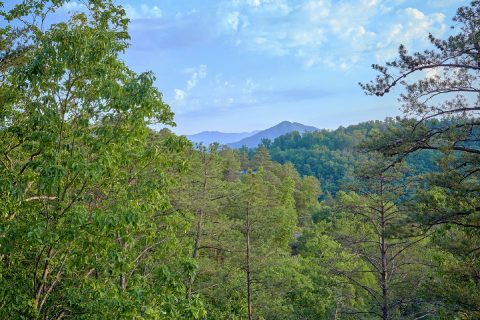 Ready to save on your Wears Valley cabin rental? 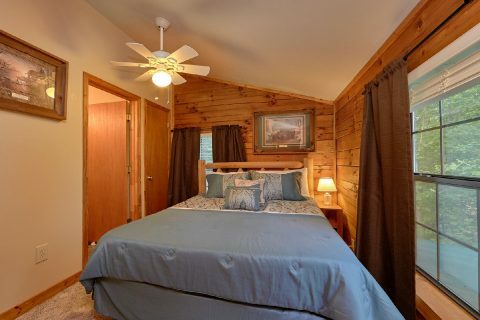 Simply book "Hide-A-Way Point" online with Cabins USA to earn a 15% discount on your nightly rate!